It has been approximately 6 years since my last post and finally, I have a little bit of new material to post after my trip to Japan! With Aria the Avvenire around the corner (which I hope to cover), this is a fitting time to make a post. 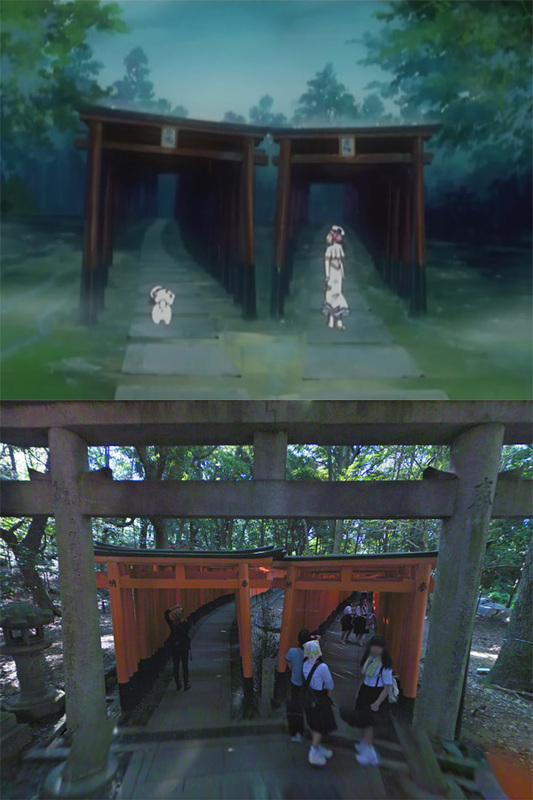 I have also started a sister blog, Hyouka the Origination to compare the locations used in the anime, Hyouka to the real world. 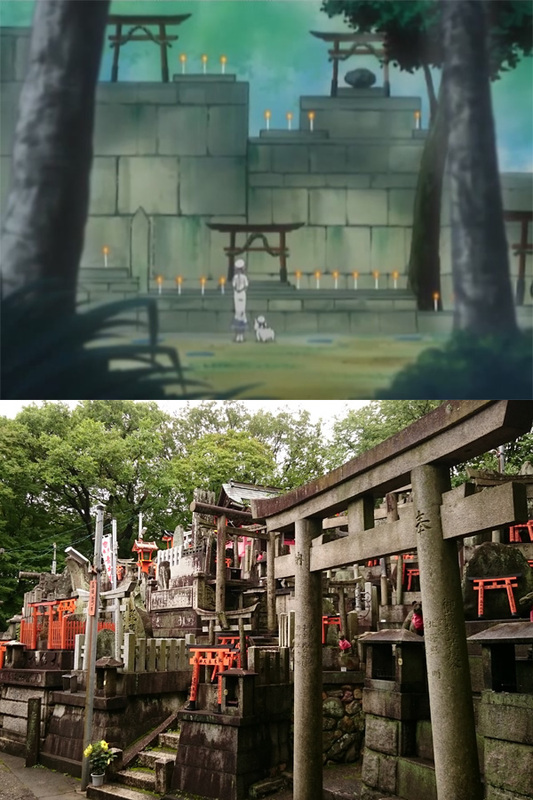 Aria the Natural Ep5 sees Alicia and Akari visit an island full of Japanese Torii gates. In Neo-Venezia, nations from Man-Home had been allocated islands to display their cultural showcase. Obviously, these islands do not exist in the real-world Venice. 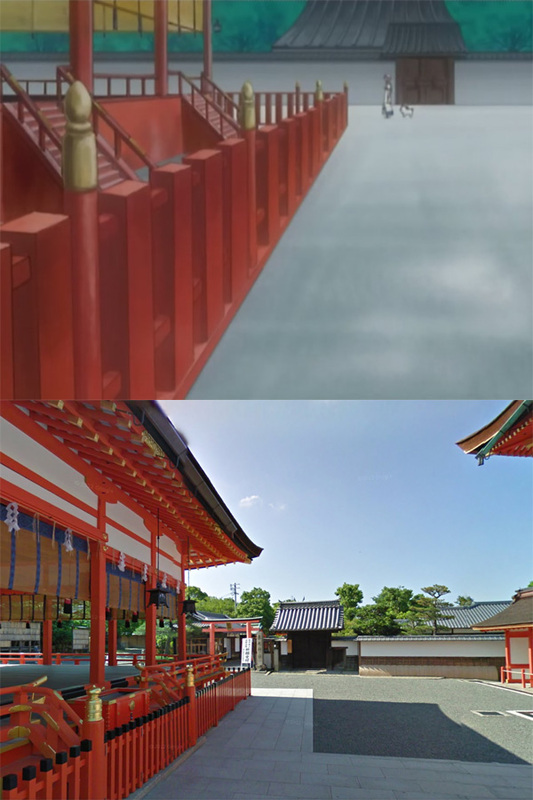 This episode however is based on a location in real-world Japan, the Fushimi Inari Shrine, located in the southern part of Kyoto. All anime screenshots copyright of Hal Film Maker, fair use for educational purposes. The entrance to the shrine is indeed guarded by statues of the Fox deity. There is however, no small store just after the entrance. It's actually very busy with tourists and some souvenir stores. 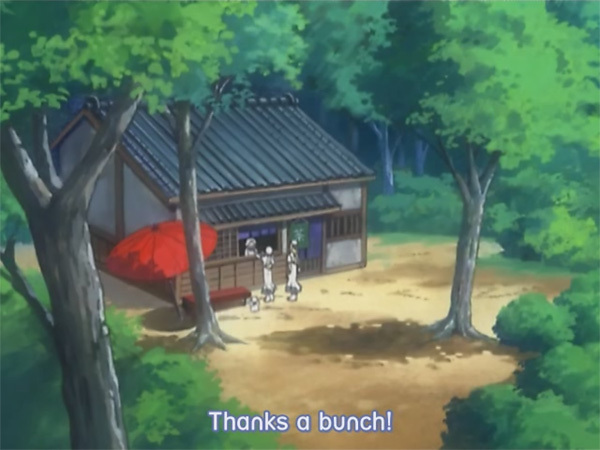 Another point to note is, when Akari buys the tofu for the second time, the shopkeeper says "Thank You" in the Kansai dialect, reinforcing the origin of the location (Kyoto is in the Kansai area of Japan). Right after the entrance and the shops is the main temple in the real world. The episode oddly inserts this in a random segment when Akari is lost. Below image courtesy of Google Streetview, fair use for educational purposes. Where the path splits into two. There are several parts of the shrine where this happens. Below image courtesy of Google Streetview, fair use for educational purposes. 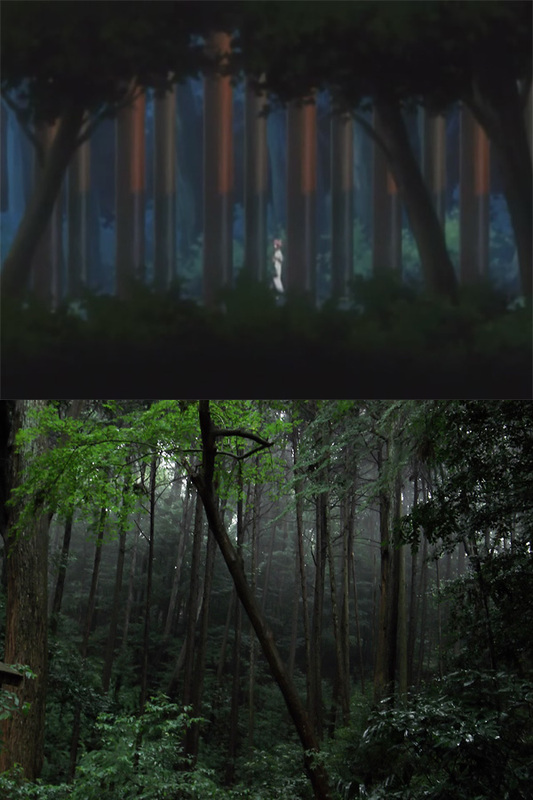 The wooded areas in some parts are truly creepy, just as depicted in the anime. There are a lot of graves dotted around the hill. If you were to visit the Fushimi Inari Shrine, do allocate 3 hours of your time. The torii gates continue into the beautiful hillside. Whilst the bottom of the hill is packed with tourists making good photos impossible, the crowd really thins out as you ascend.